When choosing cookware, there are a lot of factors to take into account. How easy is it to clean? Does it cook food evenly? Is it non-stick? Non-scratch? These are all common requirements when we’re looking for the perfect pot or pan. However, there’s an even more important question you should be asking yourself when you decide what kind of cookware to purchase: Is it toxic? When looking at the two most common non-stick varieties, ceramic and Teflon, both meet the requirements of the first questions, but when it comes to toxicity and safety, Teflon fails big time. It gets worse. One of the main chemicals used in the manufacturing process, called PFOA, has been shown to lead to cancer and birth defects in animals, and may have also led to birth defects in the children of two pregnant workers who worked in a factory producing Teflon in West Virginia. According to Johns Hopkins Medical School, PFOA is now found in some quantity in the bloodstream of 95 percent of Americans. Although the company that invented and manufactures Teflon, DuPont, maintains that these harmful chemicals are only released when the pan is misused and becomes overheated—which is true—why would you even want to take the risk? Busy, multi-tasking people leave the pan on for too long and forget to turn down the temperature all the time. Furthermore, the pan can be up to 200 degrees hotter than the food inside it, so it’s very hard to monitor the actual temperature. Fortunately, you don’t need to go through the trouble, as new ceramic cookware comes with all of the same benefits of Teflon—without the potential for scary health side effects. These pans are safer in the sense that they don’t contain PFOA, more durable and versatile because they can withstand higher temperatures, and longer-lasting provided you take care of them according to instructions. Regularly renewing the surface by rubbing a small amount of coconut oil into the pan and wiping off the excess with a paper towel. Washing them by hand. Nothing like high heat and strong detergents to wear down your cookware. Use a gentle detergent of baking soda and water, and scrub your pots and pans with a soft, non-metallic sponge. Not using metal utensils or cleaning tools. 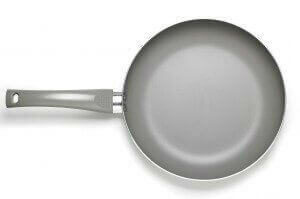 Stick to wooden utensils, as metal will scratch off the surface of your pots and pans. We hope this information makes your cooking easier, your cleaning quicker, and your home safer! 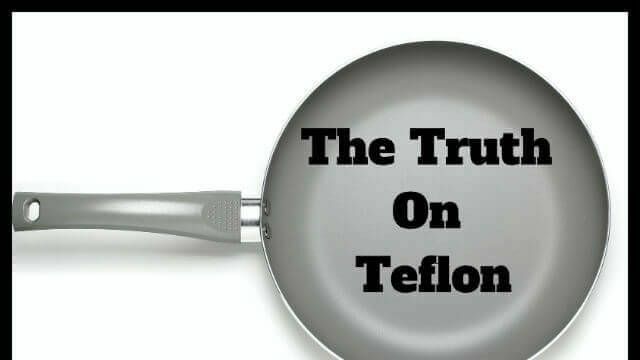 Hey Buddy!, I found this information for you: "The Truth About Teflon Pots and Pans and Why Ceramic is Best". Here is the website link: https://www.thealternativedaily.com/truth-teflon-pots-pans-ceramic-best/. Thank you.